An internal review conducted by St. Petersburg, Fla.-based Johns Hopkins All Children's Hospital found 13 cases in which patients in the facility's heart unit were harmed by care, according to the Tampa Bay Times. The cases should have been immediately reported to state officials, the hospital's interim president told staff during private town halls the week of Feb. 3. None of the cases were reported until recently. 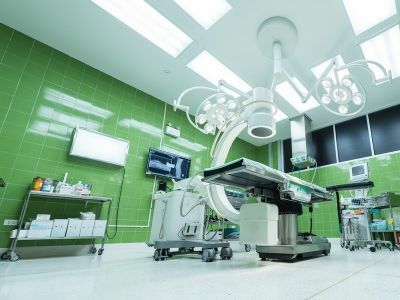 Additionally, former All Children's leaders failed to properly notify the board of trustees about safety concerns in the heart surgery department, which led to recent declaration by CMS that the hospital endangered patients, the interim president said. "Leadership knew there were quality and safety issues and did not elevate it in appropriate ways to the board," said Kevin Sowers, MSN, RN, president of the Johns Hopkins Health System, based in Baltimore. Mr. Sowers also has been the interim president at All Children's since December. Ms. Sowers said Johns Hopkins had "let this organization down." "Some of the people we put here did not act in the best interest of the children we were caring for or this organization," he said. Mr. Sowers detailed several lapses by former hospital leaders, saying they were "people that we trusted that hid the Heart Institute's problems from the internal and external oversight designed to keep patients safe." Those issues were publicized in November after a Times investigation revealed the unit's mortality had tripled in only two years. The investigation led to the resignation of CEO Jonathan Ellen, MD, two heart surgeons and the three vice presidents in charge of risk management, patient safety and communications. It also led to inspections by state and federal regulators, who visited All Children's in January and placed it in immediate jeopardy. CMS gave the hospital until Feb. 10 to submit a written plan to address the inspectors' findings. If Johns Hopkins All Children's does not correct these issues by Feb. 23, the agency will cut off federal funding.